If you are interested in joining the lab as a graduate student, please visit this page to learn more. Erika is a second-year graduate student in the clinical psychology program. Her primary research interests focus on unpacking the complex etiology of suicidal behaviors, specifically by further investigating the mechanisms catalyzing the transition from suicidal thoughts to actions among adolescents. Additionally, she is interested in improving objective measures of risk assessment and evidence based treatments for high-risk adolescents. Jackie is a third-year graduate student in the clinical psychology program. 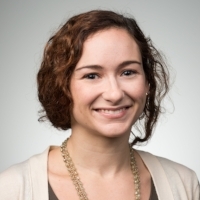 Her primary research interests focus on attentional engagement and processing of suicide-related information and how these processes may indicate individuals' move from suicidal thoughts to suicidal behavior. In addition, she is interested in how sleep disturbance and nonsuicidal self-injury confer risk for suicide attempts. Drew is a second-year graduate student in the clinical psychology program. His primary research interests focus on the role of self-critical cognition in the development and continuation of self-destructive thoughts and behaviors (SDTBs). His secondary interests focus on clarifying the shared and distinct mechanisms underlying comorbid forms of SDTBs (e.g., disordered eating, substance abuse, nonsuicidal self-injury, suicidal thoughts and behaviors) and how each of these clinical outcomes confers risk for the others. In addition, he is interested in the role of cognitive, emotional, and social development in the etiology of SDTBs in adolescence and in applying advanced data analytic methods for use in suicide and self-injury research. Anne is a junior at the University of Rochester, where she is majoring in Brain and Cognitive Sciences with minors in Clinical Psychology and Bioethics. After graduation she hopes to pursue developmental neuropsychology. In her free time she enjoys reading and participating in theater on campus. Emily is a senior at the University of Rochester, where she is majoring in brain and cognitive sciences. She is most interested in brain development and adolescent suicide risk. In her free time she enjoys staying active through sports, backpacking, and other activities. Elizabeth is a senior at the University of Rochester, where she is double majoring in biology and psychology. In the future, she plans on pursuing a medical degree, ultimately going into neurology. She is most interested in finding long-term cures to different mental disorders. She is a member of Alpha Phi, and she enjoys reading, running, and volunteering with MERT. Emily is a senior at the University of Rochester and is studying health policy, psychology, and Spanish. She plans to pursue an MPH or joint MPH/MSW with the hope of going into mental health policy. In her free time, she enjoys volunteering at Bivona Child Advocacy center, running, playing soccer, and leading Students Helping Honduras. Annabelle is a senior at the University of Rochester, where she is majoring in public health with minors in ethics and clinical psychology. After graduating, she intends to pursue clinical psychology, with a focus on suicide prevention research. In her free time, she is a brother of Alpha Phi Omega, the community service fraternity on campus. Damin is a sophomore majoring in Brain and Cognitive Sciences and minoring in Spanish and Clinical Psychology. She is interested in the brain development of mental disorders. In her free time she enjoys reading and playing sports. Devin is a senior at the University of Rochester, where she is double majoring in psychology and molecular genetics. She is interested in abnormal psychology and how biology plays a role in psychiatric disorders. In her free time, Devin enjoys sketching, yoga, and photography. J. J. Otto, B.A., B.S.